Delaney Darling is a floral design business that interacts with you as the host(ess) and your event to enhance the specific beauty and characteristics of you and your event. 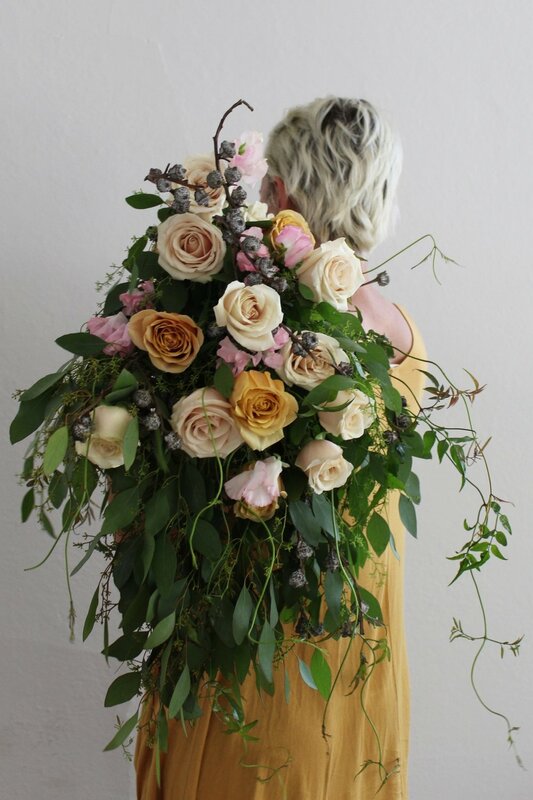 As the designer, I see my role as being a floral interpreter - taking you and your hopes and desired impressions for your event and using flowers to say it. I want to help prepare spaces and mark special moments by adorning them specially for you. I paint in broad strokes with a few important sign-post details to guide creation. When you choose me as your florist, you are not choosing someone in the business of production. It is my primary goal that through our relationship and receiving the arrangements made for you, that you feel seen and known, beautiful, inspired, celebrated, and treasured. In addition to designing for events, I love creative venturing and nurturing creative spirits! Hosting workshops, dinners, parties, styled shoots, or unique projects. Have other ideas? Please contact me! Thank you for your inquiry! Looking forward to talking flowers with you!